Downright Organa 650+ Hungarian White Goose Down Comforter & Down Pillow - Swatches may be available. Nature's best, the shell of this comforter combines GOTS certified organic cotton grown from non-genetically engineered seedand without toxic pesticides and synthetic fertilizers, and Tencel Lyocelll. Lyocelll is a natural and renewable fiber made from wood pulp cellulose. Nothing breathes as well as 100% pure cotton and tencel lyocell with a silky, sensuous texture and moisture wicking qualities. It is filled with a 650 fill power Hungarian white goose down. This comforter provides superior comfort at an affordable price for a great nights sleep for environmentally conscious Users. 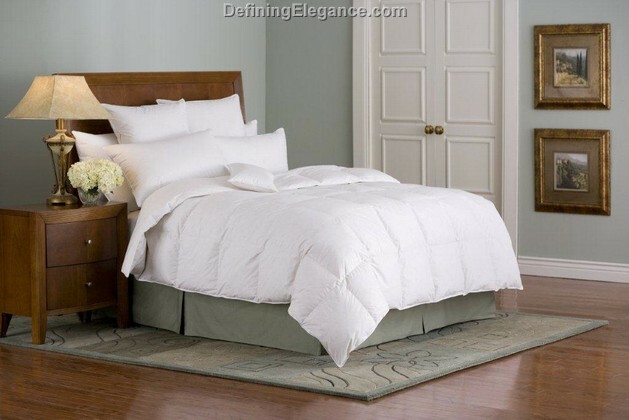 Comforters-available in 3 weights-summer, all year and winter. 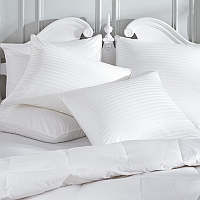 Add a pillow protector to greatly extend the life of your pillows, keeping it clean and fresh. Downright's damask pillow protector features a 100% combed cotton damask stripe with a concealed zipper and double stitched reinforced seams. 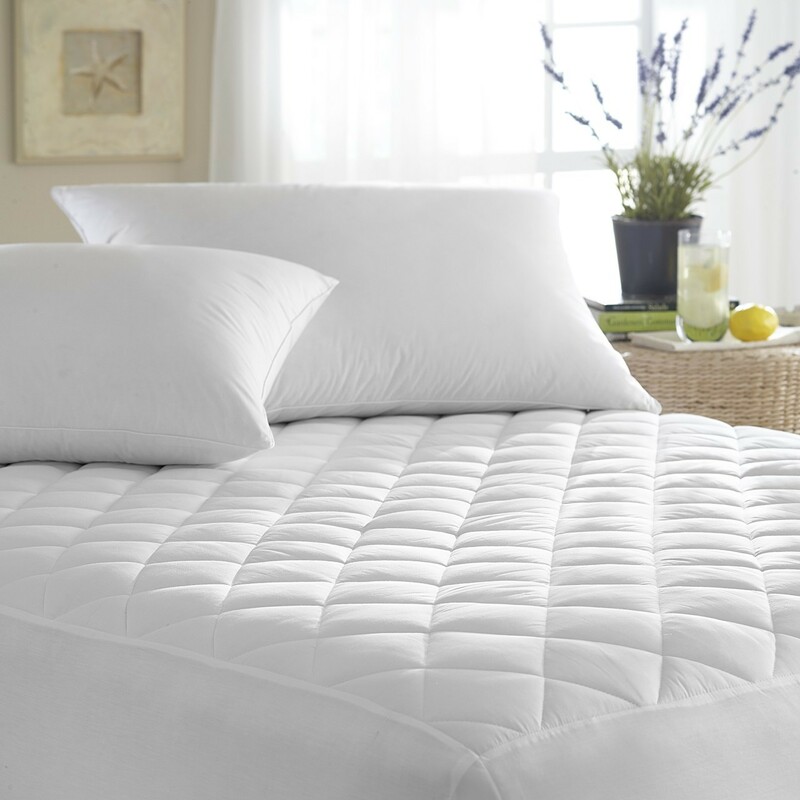 Sleep comfortably and securely with Downright's sateen pillow protector. 100% cotton combed sateen gives this protector a super soft feel, making this a great choice to protect your quality pillows.